Even baked from frozen these wings are unbelievable good. 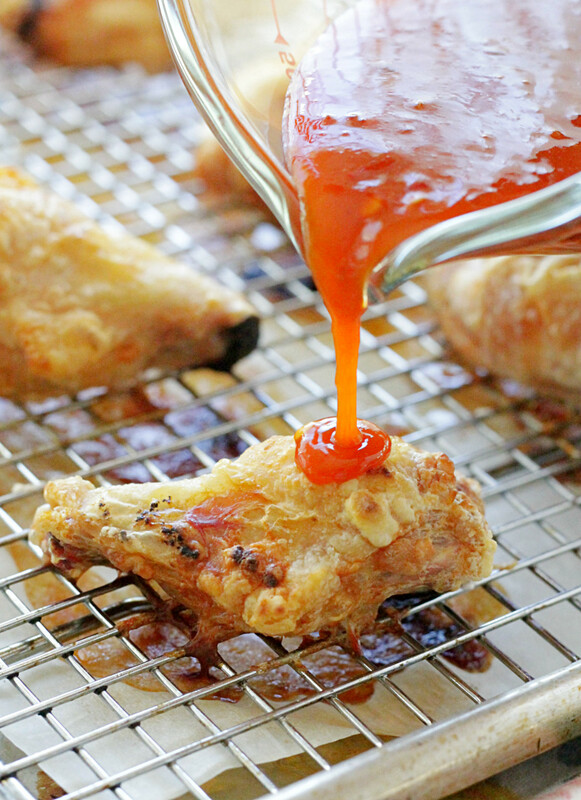 Crispy Baked Chicken Wings (with the best buffalo sauce) are a must make for your next game day at home. Until not too long ago I refused to eat buffalo chicken wings (with bones). Really good wings are hard to come by at restaurants and I’d had more than enough soggy, fatty wings to swear them off. But then this most recent Super Bowl happened and I was reading how many people serve wings that weekend and so I admit I gave in to the peer pressure. And that’s how I’m bringing you these crispy (like unbelievably crisp) baked chicken wings that you can make conveniently at home. I’m a big fan of Cook’s Illustrated so I started by searching for a wing recipe that they had created in their test kitchen but I ran across another recipe post instead (which used the Cook’s Illustrated recipe). The problem I had when going to purchase my wings the day before the Super Bowl however (yes I am a procrastinator) was that I was stuck with frozen (ice coated) wings. There was not a fresh wing in sight. But guess what? The frozen wings worked! As in I baked them from frozen and they were still amazingly crispy! So what’s the secret? Baking powder. Not baking soda. Baking powder. I’m not sure why it works because I didn’t actually read the Cook’s Illustrated well-researched article behind the recipe but it most definitely works and I am so happy it does! You will be too. Now about what I believe is the best buffalo sauce. 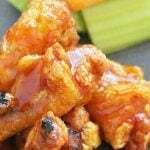 I’ve made this recipe for crispy baked chicken wings several times now, tweaking the sauce each time. And I found what I think is the perfect flavor and spice combination. I only use four ingredients for my sauce. 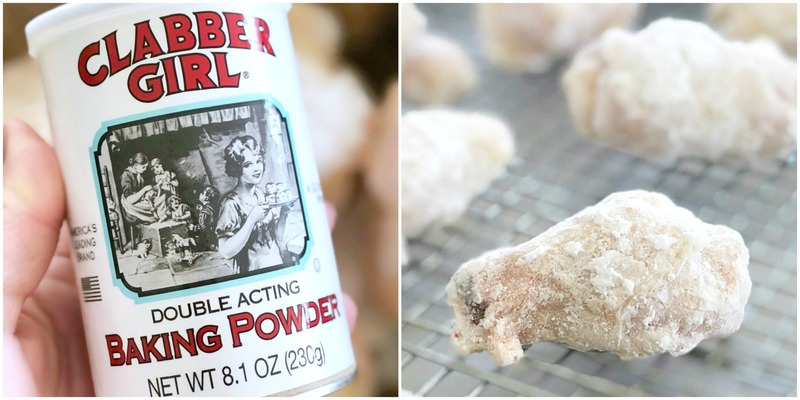 Add the frozen chicken wings (or drumettes if you prefer) to a large gallon-sized zippered bag with the baking powder. Shake the wings to coat. Line a sheet pan with parchment paper (or foil). Place an oven-safe baking rack on top of the lined sheet pan. Lightly oil the rack. Place the baking powder coated frozen wings on the baking rack and bake for 80 minutes, or until the internal temperature of the wings is 165 degrees. If desired you can broil the chicken wings for the last two minutes of cooking time to get them even more browned. Whisk together the buffalo sauce, chili garlic sauce, maple syrup and salt. Add the baked chicken wings to a bowl and toss them with the sauce until they are evenly coated. 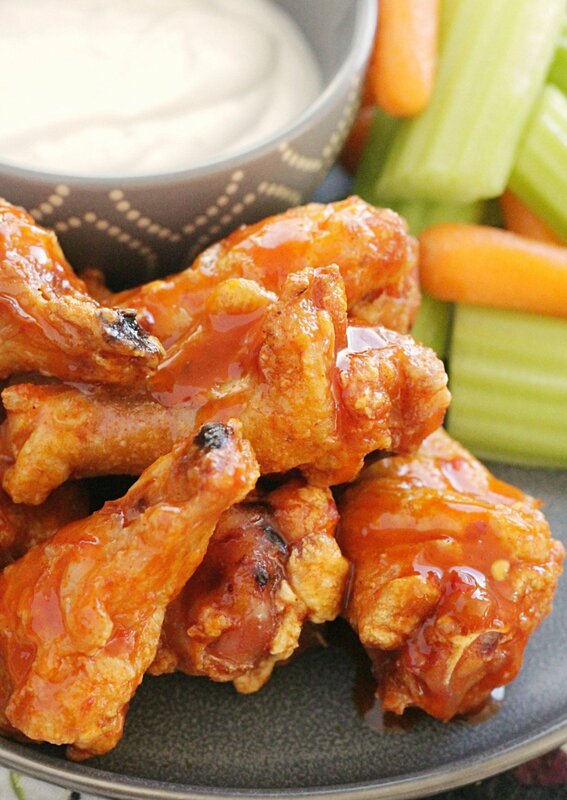 Serve the wings with fresh carrots and celery and blue cheese dressing. Wow! I love spicy foods and these definitely look drool worthy. Thanks for sharing the tip about baking powder..never heard that before. You’re welcome. I hope you try them! I tried them and they were awesome! I only had Frank’s wing sauce, so I added a pouch of ranch dressing seasonings to the sauce to add some flair and my husband ate them all before I even had one! So easy and crispy! Thank you so much! So happy to hear this! Love your improvisation with the sauce, sounds yummy. Thank you for the positive rating! Mmm, looks like you got these to come out just right! Crispy is best way to enjoy wings. I love chicken wings and always look for different ways to make it for diversity. These look and sound delicious and I love the idea of baking it instead of frying – way easier! So simple – and much less mess! Anything that is smothered with franks hot sauce is good with me. I am obsessed with that stuff at the moment. You’re welcome. Let me know what you think if you try them! They look superb, I made wings for the first time in ages a couple of weeks ago, must give your recipe a try. Yes you definitely should. Thanks so much Brian! These look so good, I want to jump into the page and grab one. And your step by step instructions make the recipe super easy to follow. Thanks so much, my grandkids will love these. Mmm those wings look absolutely amazing! I know what you mean about soggy ones in restaurants, it can be so hard to get the perfect wings but these look great! Oh wow, I love the tip for getting the wings crispy, I can use that for all my oven fried foods! You know, I hadn’t even thought about trying the baking powder on other things, LOL Great idea!! This definitely looks crisp and savory! Good mention about the use of baking powder, never heard of that. Crispy chicken and chili sauce is the way to go! Looks better than take out! So much better than take out. Thanks Andre! These look delicious. A really healthy ratio of meat to sauce 😀 I love mine nice and sticky! Me too – thank you! Tailgate season means wings! 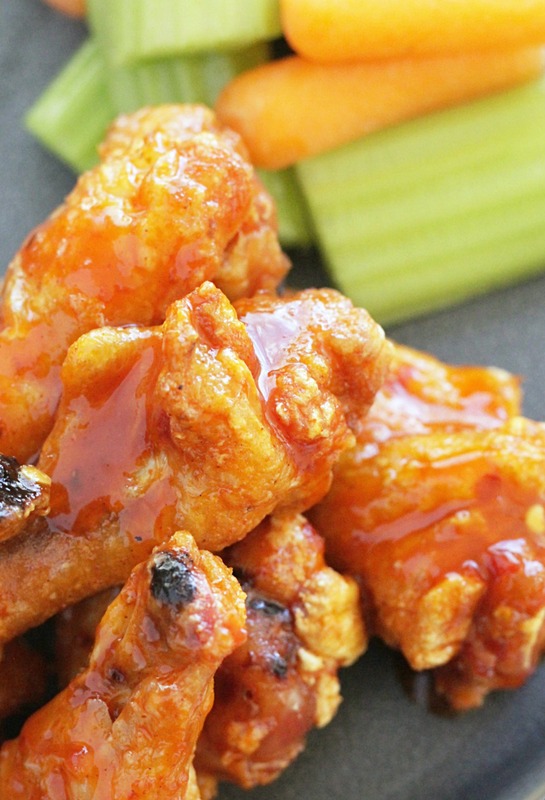 I love crispy wings … soggy just isn’t cutting it in my book. Thanks for the trick with the Baking Powder. That is going to make a difference in my prep. Nope, soggy wings are the worst! Thank you! YUM! 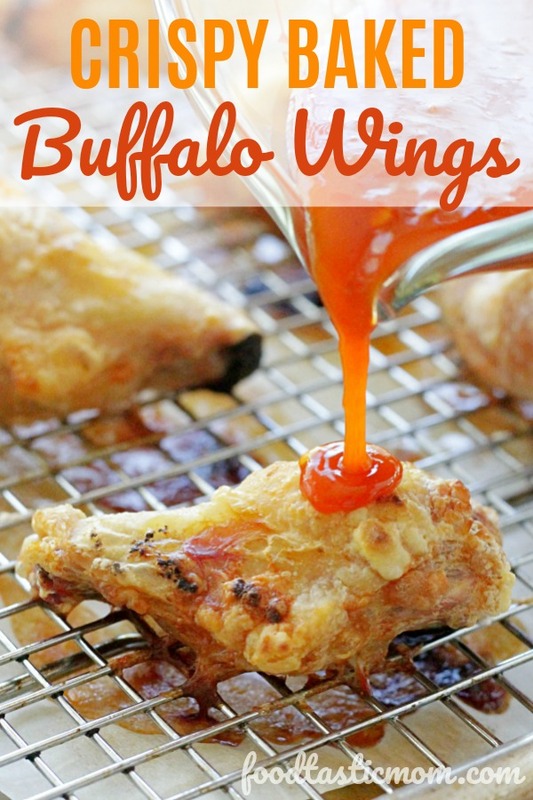 We love chicken wings and buffalo style sauce is my husband’s fav! Can’t wait to give these a try on a game day! Thanks for the recipe! You’re welcome. I hope you like them! Awesome tip, I have heard of using Arrow Root but never baking powder. I’m definitely going to try this tip!! I hope you do! Thanks! It’s amazing what baking powder can do! 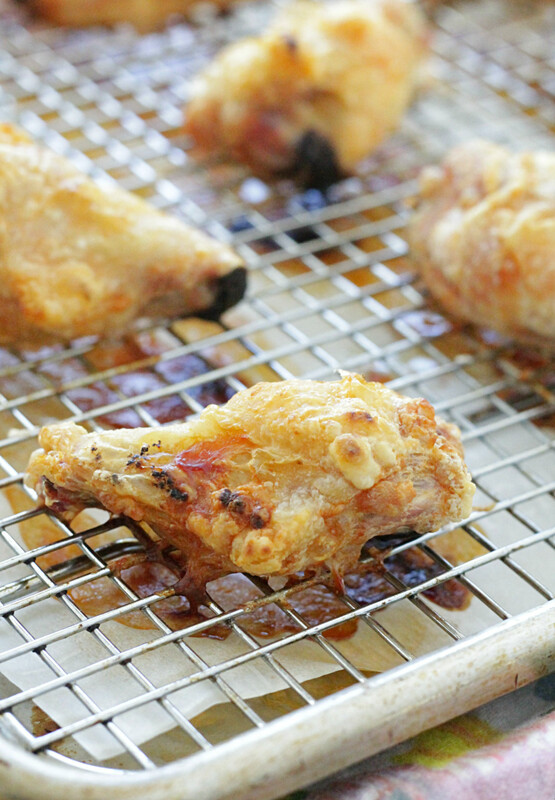 I’m all over this crispy wings, especially if I can cook them from frozen. How easy is that? And I love the sauce! Yum. It really is amazing! Thank you. I love how easy they are and they look incredibly crispy too! We are making this recipe as I type! Never made chickens wings with baking powder so I’m excited to it! Will let you know how they turn out! Happy New Year!! So happy to hear this. Thank you for coming back to review and comment! I can not thank you enough for posting this. I love Wings but have struggled with finding a simple way to crisp up some frozen wings and pretty much gave up. I stumbled on your recipe post on a recent Google attempt. 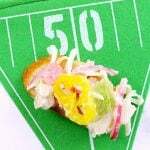 Long story short, I’ve had wings at home 4 weeks straight and staring down week 5. Thank you so very much!!. I have subscribed to your email list and looking forward to digging into your site/recipes to see what else you have in store!.Maybe there is something else I make that you have improved! Take care! Frank’s sweet chili and used garlic powder since I didn’t have the other along with the maple syrup and salt. The wings were great!! I ate them without sauce and they were perfect. My husband loves the sauce. Thanks. It always makes me happy to get a positive review like this. I’m glad you liked the wings and thanks for taking the time to write! So delicious! I just made your recipe and it was the bomb! The hint of garlic and sweetness on the back end took them to a whole new level. The chicken was crispy on the outside and moist and tender on the inside. Will defanitly make again! Thank you the recipe! Ok, so being a Buffalonian. I thought.. I’m going to try this recipe. I went a bit much with coating the wings pre bake. That was my mistake. Next time I will knock some of the baking power off. The wings came out looking awesome ! Now let’s talk sauce ! I love making sauces ! I mixed up the sauce that you use, some store brand honey bbq sauce, a stick of butter with a healthy tablespoon of Cayenne Pepper . Once heated up well… I let it stand for about half an hour, then back on the heat and bring it back up to a slow boil. Mixed up some corn starch and water to thicken the sauce up to about gravy consistency. The thicker sauce really works well for the folks I serve to. 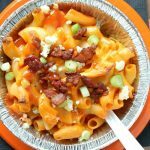 My opinion on this recipe ? Loved it ! Easy to make and everyone enjoyed the wings ! Thank you for sharing with us ! Your version of the sauce sounds fantastic. I’m a fan of heat – but my daughter needs it toned down a bit 🙂 This is such a great review. I really appreciated you taking the time to write. You’re welcome!